This paper presents a set of ontologies developed in order to facilitate the integration of a variety of combinatorial, simulation and optimization models related to agriculture. The developed ontologies have been exploited in the software lifecycle, by using them to specify data communication across the models, and with a relational database. The Seamless ontologies provide with definitions for crops and crop products, agricultural feasibility filters, agricultural management, and economic valuation of crop products, and agricultural and environmental policy, which are in principle the main types of data exchanged by the models. 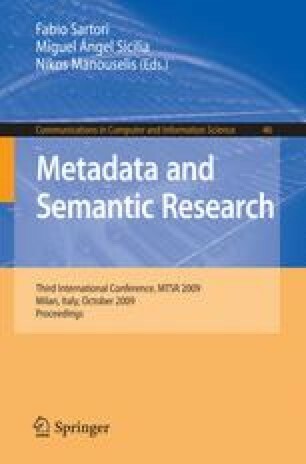 Issues related to translating data structures between model programming languages have been successfully tackled by employing annotations in the ontology.